Kolkata-Silchar-Kolkata3. 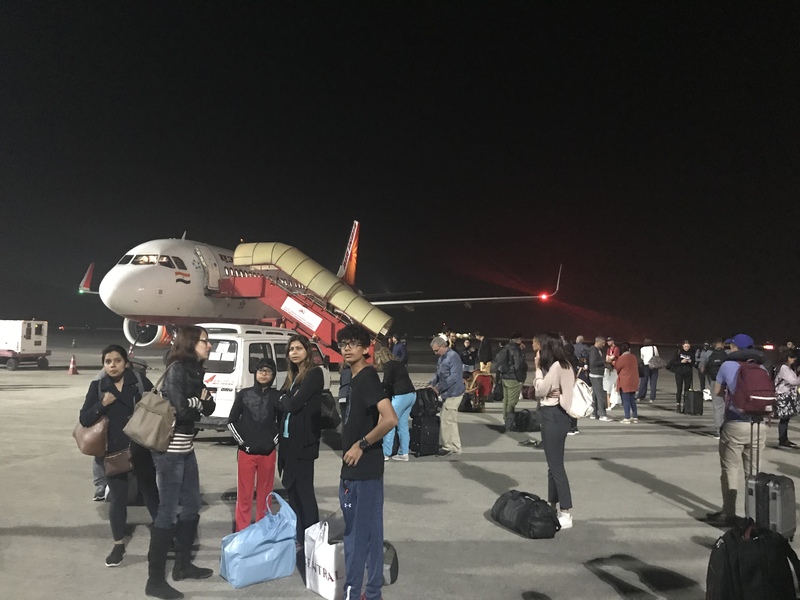 Kolkata Silchar flight was ATR-42 which does not have much spaces for cabin luggage. However staff helpful to put it in other places. The return flight was A319. As the travelling time was around 1hr minimal food was served. I traveled from Kolkata to Port Blair in March 2013. Flight was on time. The breakfast served was of good quality. Cabin crew as well as ground staff were helpful. To and from Kathmandu via New Delhi. 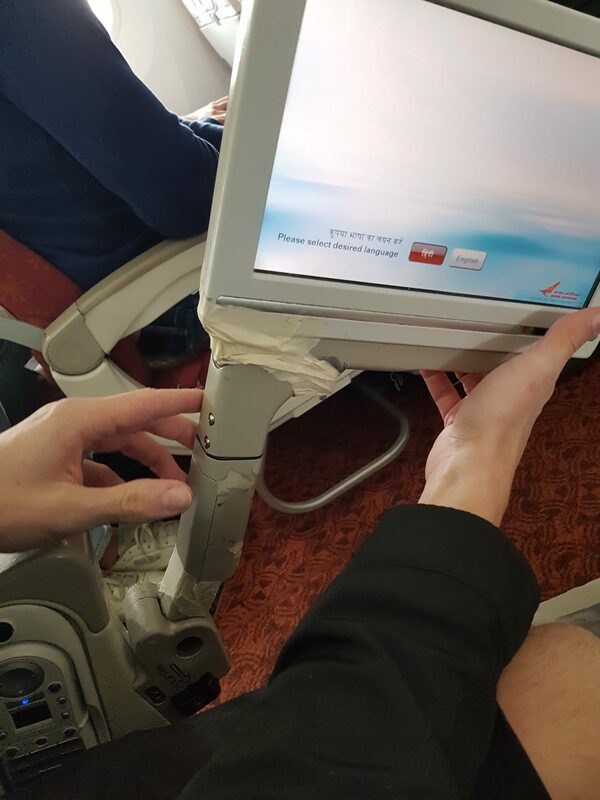 I would never use this airline again. 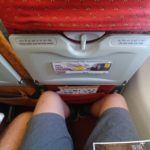 The planes are cramped and uncomfortable the seat booking arrangements are chaotic and staff seemed unable or unwilling to explain what the problems were. We had problems both on the outwards and return trips. I had pre-booked seats online - do not do this as it causes all sorts of problems which the airport systems seem unable to override. 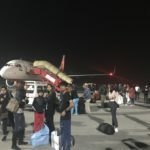 For example when we asked to change to extra legroom seats at the airport in Kathmandu - we were given a boarding card for the Delhi-London flight but in fact our seats had been cancelled - as we discovered when we came to board. We were bumped off the flight and forced to spend a night in transit hotel limbo. 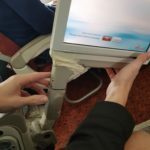 This might have been fine if we had known what was happening and been kept informed but the staff kept us standing like idiots by the boarding gates while they went into huddles over the computer - for hours! Air India (AI130) from Heathrow to Goa via a stopover to Mumbai and returned 2 weeks later (AI131). All flights departed on time. The seats could have been more comfortable but a cushion between the back and the seat took care of that. The bottom line is that the flights were at least £150 cheaper than the nearest rival and so if considered as a budget airline (the long haul Easyjet) I have no real complaints. My main gripe was the attitude of the cabin crew. They were really quite unfriendly smiles never quite made it to eyes - when I was up stretching my legs during the flight I was asked quite abruptly 'where are you going'? However on the whole a reasonably good experience and I'd fly with them again. LHR-BOM-DEL-LHR. Business. Outbound 777-300ER. Standard business class "flat" seats that go to about 175 degrees. Two meal choices an Indian and Western. Fairly standard meal on china but no better than a "good" economy meal. No amenity kit but they did supply flight socks and eye masks. Cabin crew helpful. On return lounge in Delhi pleasant but has no WiFi of its own- airport shared wireless is not free. Return flight on 777-200LR (replacement while 787 grounded). No flight socks or eye masks loaded on board - annoying as this was a night flight. Cabin attendants sympathetic and brought what looked like a duvet from first to make up for this. Inflight entertainment is comprehensive. Map not working on return leg. Priority bag service worked both ends and in Mumbai someone has pulled off all the priority bags from carousel so there were there just ready to take. Overall it's good value if your expectations are a lie-flat seat and standard food. Flew from RUH to CCJ (B777-300ER) in economy class. Flight was on time. Check in was chaotic and ground staff were rude. Flight interiors were clean and looked colourful. Seat configuration of 3-3-3 which I liked. Flight attendants were young polite and happy to help. Entertainment system worked well and had an excellent collection of new English and Hindi movies. Food was very delicious. Overall experience was excellent. Would fly again with Air India. Flew domestic IXL-DEL in a brand-new A319. Boarding chaotic 2 flights boarded from one gate. Apart from that service was excellent. Especially food was delicious - you do not get that kind of food even on short- haul business flights in Europe. Personal IFE even though some of the screens seemed to work better than others. LHR-DEL-ATQ. 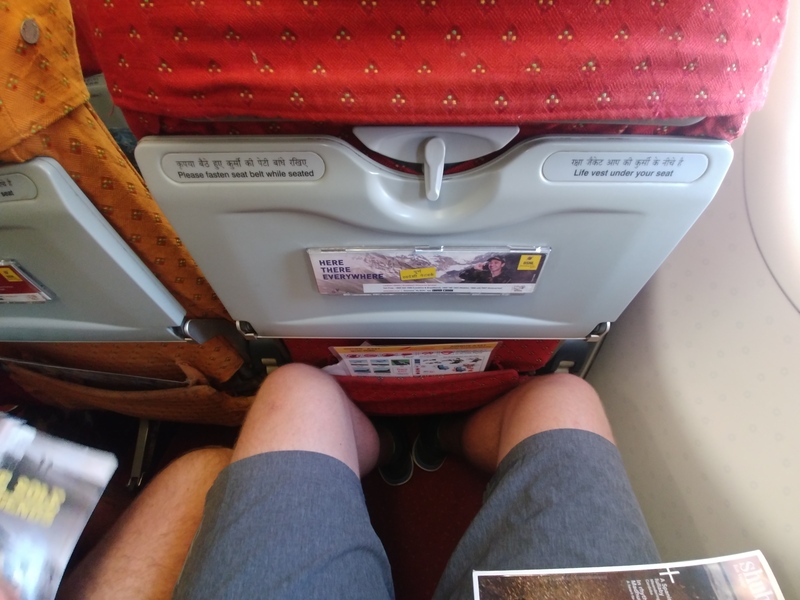 Main flight from London to Delhi was horrible plane had worn carpets and out of date seats most airlines now have better leg room and inflight entertainment. Food was minuscule portions and unrecognisable. Would not bother flying them in the future. FRA-DEL-KTM-DEL-FRA B777-300ER. We travelled with our one year old child in her own seat. Although we made already arrangements nobody seemed to be aware that we were flying with a child (chosen seats next to each other not available no baby meal on board). Our buggy ended up on the belt in Delhi while we were in transit. Took us 90 minutes and a lot of frustration to find someone who could take the thing off and hand it over to us. Because of delay and short connection time the transit through the DEL airport was awful. Crew just dropped us of at the security check in the transit area and left us there. So collecting the transit passengers made no sense at all. The plane (B777-300ER ) was worn out and looked very tired. Our seats were very hard and uncomfortable. Meals were tasty but portions limited. No bread served. Only after take off a round with drinks was served. Once they served the food the crew disappeared and never came around again. IFE system limited with a small option of (nice) English movies. It got us there and it got us back home. But next time we will choose a company from the gulf-area again. Connected from Finnair to Air India DEL-BOM-GOI on A321 returned the next week GOI-BOM-DEL on a similar A321. Air India uses T3 at Delhi which is very convenient and their baggage allowance is very generous compared to other Indian carriers. Wanted to try their Business Class and paid extra for the luxury on the DEL-BOM-GOI sector: very pleasant and very good service with tasty meals. On the way back it was Economy and cannot fault their service here either because the legroom was good IFE worked well and their catering was adequate. The dinner on the BOM-DEL sector was actually very good in Economy. This is not the Air India I remember from years back they have improved considerably and seem to have added many new planes in their fleet lately. Moreover the fact that they use T3 at Delhi Airport is a great advantage smooth connections.